للمسافرين الذين يرغبون أن يعيشو كل ما تقدمه بروكين هيل, Broken Hill Tourist Park هو الخيار الأمثل. يقع مركز المدينة المثير على بعد 3.0 km فقط. 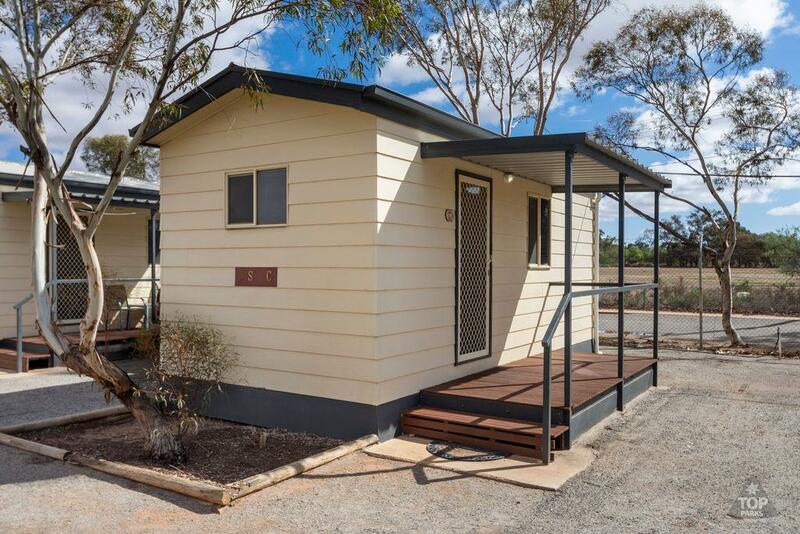 يوفر الفندق بفضل موقعة الجيد وصولاً سهلاً إلى أهم معالم المدينة.
. يعمل Broken Hill Tourist Park على ضمان إقامة مريحة لضيوفه من خلال خدماته الممتازة وحسن ضيافته. هذه بعض الخدمات الموجودة في هذا الفندق: واي فاي مجاني في جميع الغرف, مرافق مخصصة لذوي الاحتياجات الخاصة, واي فاي في المناطق العامة, صف السيارات, غرفة عائلية. يمكن للنزلاء الاختيار من ضمن مجموعة من الغرف المصممة بعناية لتعكس جواً من الراحة، والتي يتجاوز عددها 38. كما أن مجموعة الخدمات الواسعة الموجودة في الفندق لضمان راحتك تترك لك الكثير من الخيارات لقضاء وقتك أثناء فترة إقامتك. 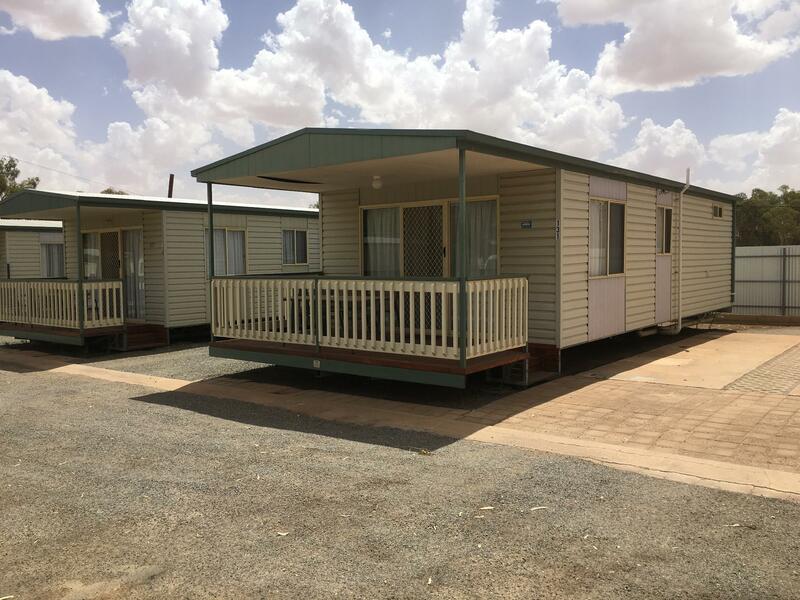 إن Broken Hill Tourist Park هو خيار ذكي بالنسبة للمسافرين إلى بروكين هيل، بما يوفره من إقامة هادئة ومرحة. great place a lil outdated but get ready for the heat. Cabins are small. The cabin was lovely, modern and very clean. The pool and playground was great and the little deck/ private car park was nice. Air con worked well but would have liked the staff to turn it on earlier in the day, as it was only turned on just before check-in at 2pm on a 44 degree day. Not ideal with a long drive and a grumpy toddler. Would still go back and stay and recommend to others. Thankyou. Stayed here in a cabin, on our way from Perth to Brisbane. 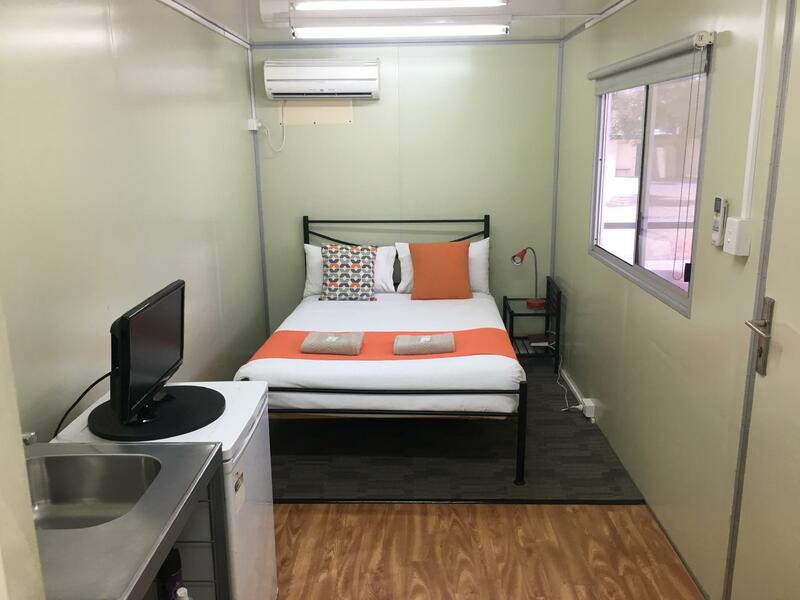 Clean room, comfy bed, good aircon and adequate cooking facilities. I imagine I could happily stay here for a few more days if time permitted. The pool and air conditioning were awesome in the 43 degrees heat. We stayed at the park for 5 nights in a 2 bedroom cabin. Loved that there was a little bath in the bottom of the shower for the kids. We didn't use our kitchen as we bbq dinner every night that we didn't eat out. Quiet, clean. Only downside was the children's playground having only a swing and a small spinning thing to play on, and being a bit far from everything (but that's okay because it was Quiet!). Would definitely stay there again. Very small room, we had a Nissan Xtrail, the parking was so small we could not get out of the car, ended up parking in front of the unit.There was only two sachets of coffee and went to ask for more at the office we got told there was no coffee in the office they were on the cleaning trolly ended up not getting any more. Very disappointed. 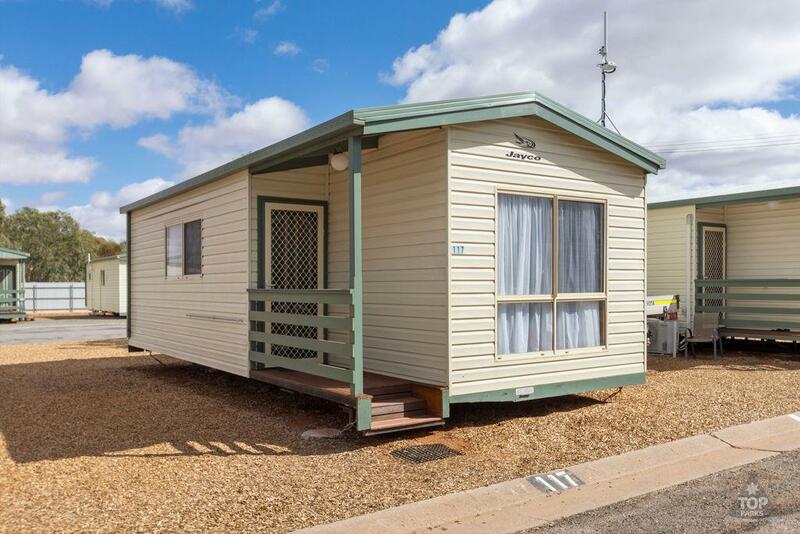 We used the Broken Hill tourist park, as the only place which would take our small pet dog. The room (at the base level) was pokey and difficult for 2 people to move about. Several things were broken- the air conditioner grill fell off, no soap in the shower soap holder, broken power point. In its favour, it was , and has a good location. 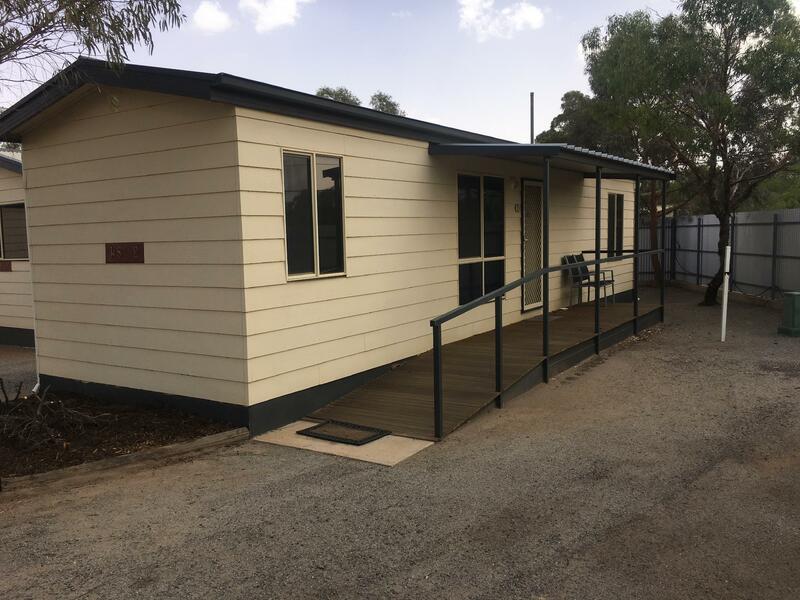 I will continue to use the park, as no others are available in Broken Hill. Stayed here for one night only as an overnight stop. Was pokey and old fashioned. Thought the $120 we paid was too much or what it was. The park was centrally located and easy to find. The staff were very helpful and friendly. Good place to stay although didn't really make good use of facilities as we were too busy sightseeing. Front office staff were great even obliging with a packet of dry bickies from their cupboard due to us not knowing all shops were closed for holiday weekend. Real country friendliness. No issue with any noise even though park was full. 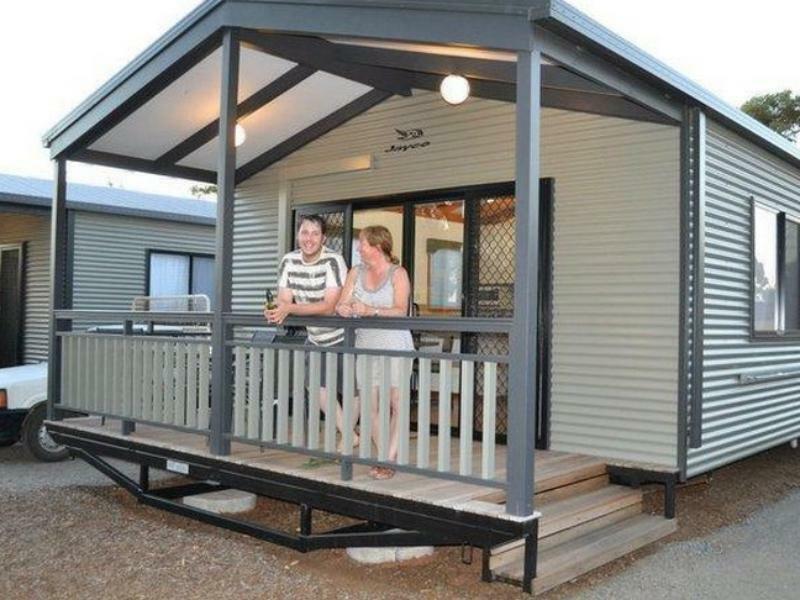 Really nice cabin fully functional & good price. Only disadvantage - distance from CBD. 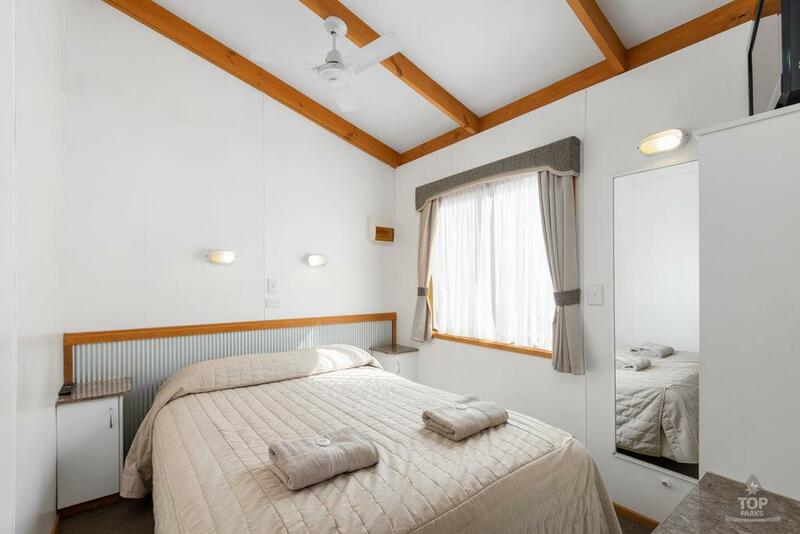 The staff were friendly and professional, our cabin was suitable for our needs at a reasonable price and the park is handy to the city centre. Relaxing and clean. The park management organised a meet your neighbour afternoon tea which was well received. 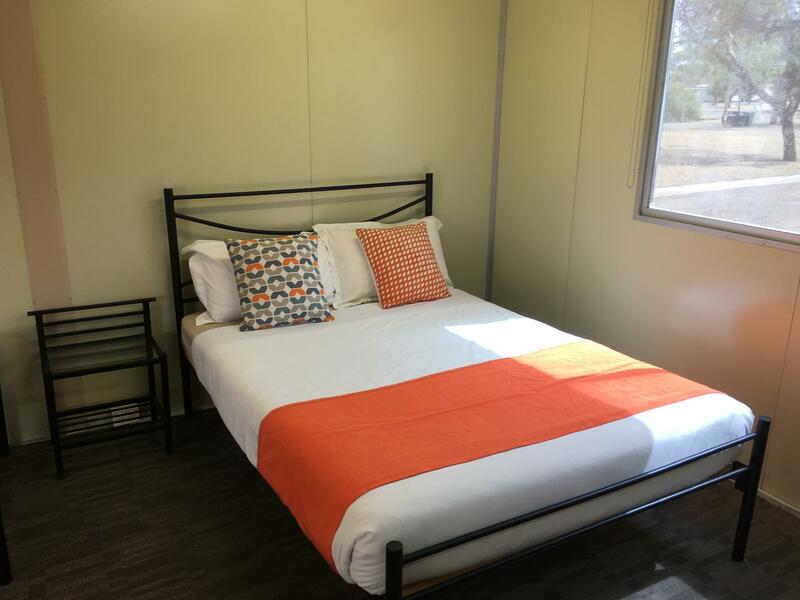 Great location, comfortable and clean beds that were very well presented, friendly and efficient staff and a well organised park. Very enjoyable, friendly and relaxing.